Southern California metal titans WINDS OF PLAGUE have signed a deal with Entertainment One Music (eOne) / Good Fight Music. The band is currently working on material for a new album, to be recorded later in the year. 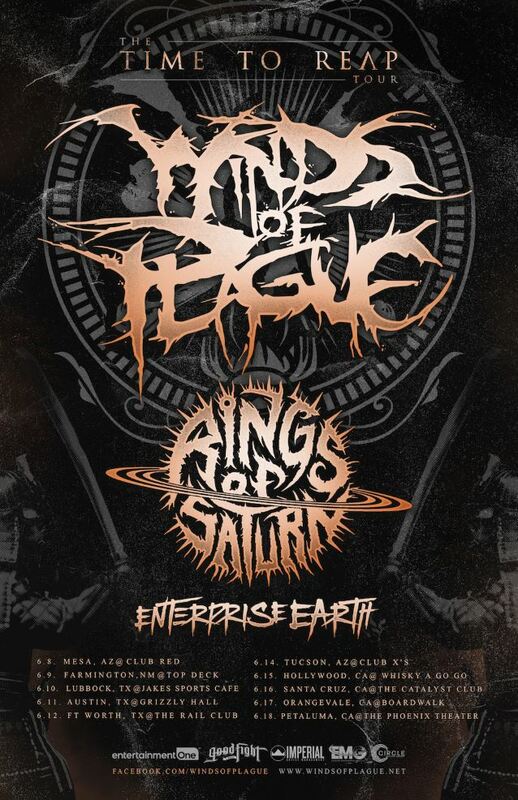 WINDS OF PLAGUE has also announced its first headlining tour in two and a half years, with RINGS OF SATURN as direct support. 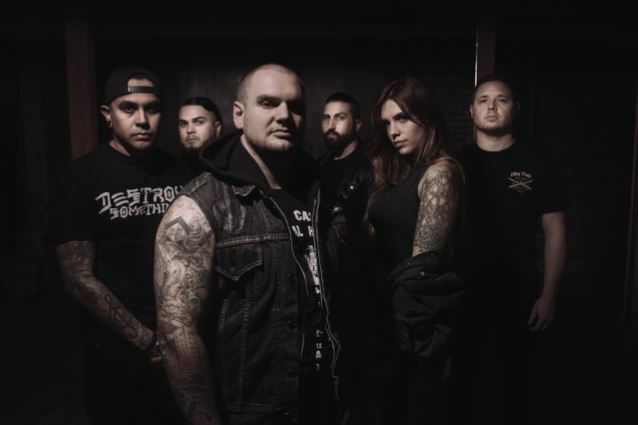 Commented WINDS OF PLAGUE vocalist Johnny Cooke: "Over two years ago, WINDS OF PLAGUE played a show at Chain Reaction in Anaheim with BLEEDING THROUGH on their farewell tour. While I was walking off that stage, I was certain that would have been the final show for us as well. "We had an amazing ten-year run, played some wild shows, met a lot of great people and now it was time to focus on ourselves as individuals and let the band fade into the background. However, I was wrong. Now, in 2016 we find ourselves grounded and in a place to return to the stage. "After playing a handful of SoCal shows, the fire and passion is raging harder than ever and we are very excited to announce our first run of headlining shows in years. The run of shows takes us to Texas and back accompanied by hard hitters RINGS OF SATURN and ENTERPRISE EARTH. "We have a multitude of exciting things in the works, but today I am proud to announce we have signed a record contract with eOne Music / Good Fight Music to create a new WINDS OF PLAGUE record and we are currently hard at work writing new material. Stay tuned as we unravel more details in the coming months! "As always, thank you for the continuing support and hope to see you soon in a city near you, much love!"